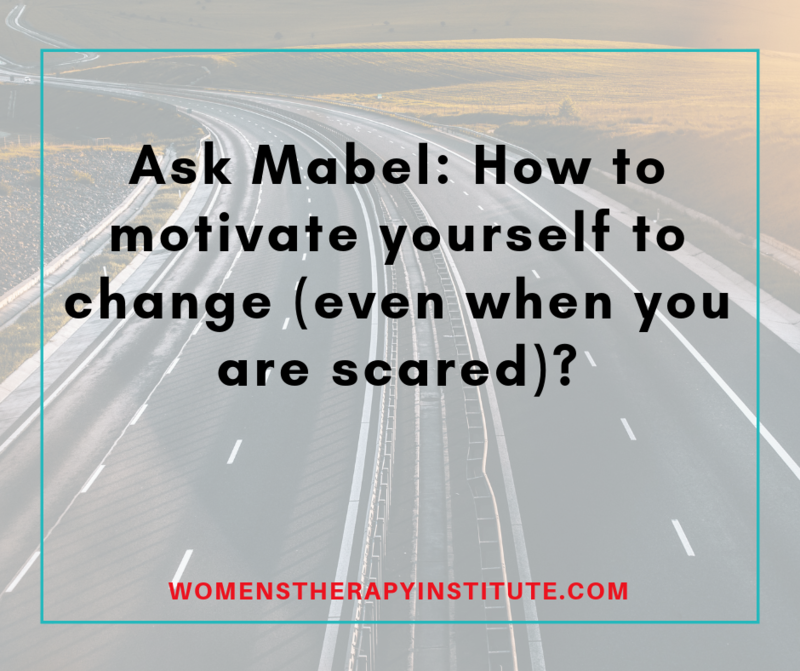 Ask Mabel: How to motivate yourself to change (even when you are scared)? Dear Mabel: My goal has always been to go to grad school but now that it is time to study for the GRE I can’t get myself motivated. Grad school is a huge time and money investment and I am afraid. What if I don’t succeed after graduation? What if I end up right back where I am now? Then what was the point? What if I end up in a dead-end job living with my parents? I am getting really discouraged. How can I get myself motivated? Mabel: Hi Frank, this sounds like a classic case of overthinking. Your brain is constantly evaluating the risk of taking this leap, so of course, it sounds like a bad idea. You are convincing yourself every day based on your fears. The truth is, yes there are risks. And, yes the worst case scenario is you will end up back at square one. But, what happens if you don’t take the chance? I like to look at things systematically. If you don’t take the GRE, if you don’t take the leap and try for grad school, then you have a 100 percent chance of being at square one. At least by taking this leap, you are giving yourself a fighting chance. Turn your thinking around. Instead of focusing on what can go wrong if you do go to grad school, think about what can happen if you don’t. What is the risk of not going? No change happens without taking a chance on ourselves. You can choose to stay stagnant, right where you are currently, based on fears. Or, you can choose to fight for a change. You can give yourself opportunities, you can open doors for your future, but you have to try. So often we let fears get in the way. Your motivation is inside you, you just have to change your perspective on the situation as a whole. If you fail and you end up back at square one, at least you will know you tried. And, who knows maybe the experience will lead to other open doors. But, first, you have to try. Your mental health is just — as if not more — important than your physical health. Your brain and all the different emotions you could be facing impact you physically. When you have a sore throat, a cough, a stomachache, a migraine, or other ailments, you take a sick day. When you aren’t feeling good mentally, it could be time to take a mental health day. We tend to ignore much of our mental health symptoms, brushing them off and saying “they will pass” only to have them resurface stronger than before. We don’t want to waste the time off, we don’t feel like we have the time to waste. But, we forget that when we aren’t operating at our fullest we aren’t being as efficient. By taking the time to tend to your mental health you are only helping yourself to be more focused, motivated, happy, and…well. 1.) You are distracted by something that needs to get done outside of the office. Maybe it is your taxes, a personal project, or a goal that requires your attention. Now I am not telling you to skip work whenever you need some extra time, but rather when you are distracted, forgetful, overwhelmed by something that needs to be tackled. Take a day to get it done. You will feel better for taking care of it, you will gain some control back over your life, and you will be more productive at your job when you return. 2.) You have been neglecting yourself. Maybe you have been super busy at work or overcome with a project that is taking over your life. You aren’t taking care of yourself because you don’t feel like you have the time to spare. You could benefit from recharging your batteries. Take a mental health day to take care of you. The day can look any way you think it should — catch up on sleep, meal prep, go for a walk, take a fitness class, spend some extra time with your kids, meet a friend for lunch, whatever it is that you feel you need. A day away from the daily grind can do wonders for your inner self. 3.) 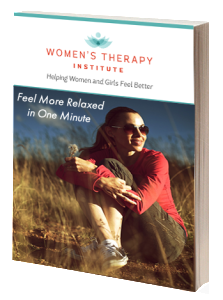 You are struggling with depression and anxiety symptoms that feel unmanageable. 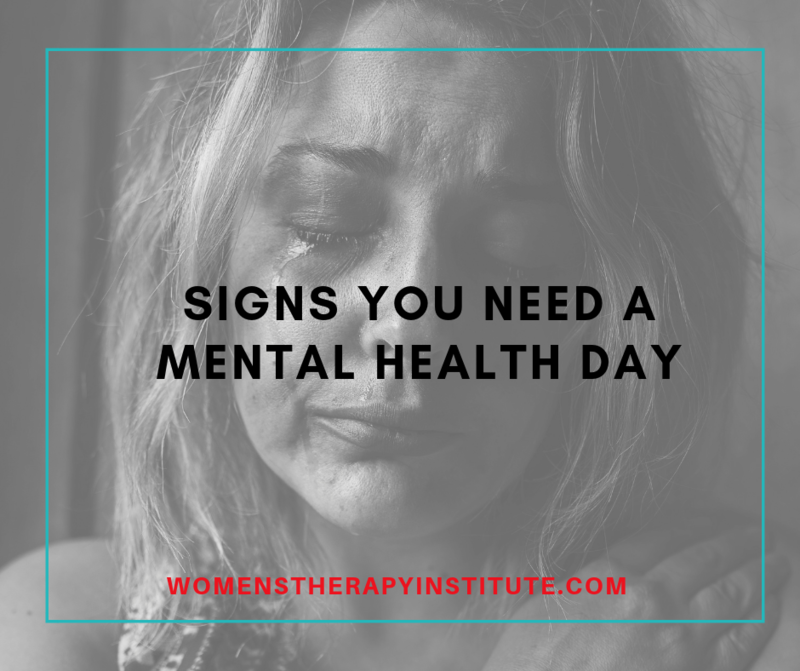 Maybe you are easily emotional, you are crying a lot, you are struggling to get out of bed, everyday activities are hard to accomplish, you don’t feel like you, whatever it is a day away from the stress you are consumed with can help. Allowing yourself to feel whatever it is you are trying to push past can be necessary to your healing. If you had the flu, your coworkers would never expect you to come in, they would not find you weak, in fact, they would likely thank you for taking the time to get well. There is nothing wrong with taking a mental health day. It can take courage to admit that you need one. It can be hard to allow yourself the opportunity to have this day but it will be worth it. If you are having trouble taking care of you, I encourage you to seek help from a licensed mental health professional. He/she/they can help you learn ways to fit time in for you. How often do you take mental health days? Just like the muscles in our legs and arms, our brains get tired too. When we spend all day making decision after decision — the willpower part of our brains gets spent. Without even potentially realizing it, you begin to make poor—or even completely avoid—decisions. It is called decision fatigue and scientists are just beginning to learn more about its potentially detrimental impact. Whether it be shopping, working, dieting, it is easier for us to make smart, educated, well-thought decisions in the morning before we have depleted so much of our energy. It is why it is easier to eat healthier breakfasts than dinners, and why we often reach for that piece of candy at the end of the day. Our brains are exhausted and our willpower is depleted. Think about building a home, or picking out clothes at the store, you are making decision after decision — what hardware to put where, what lighting fixture, where should the outlets go, do I want the purple shirt or the red shirt, is this dress too big, should I spend this much money, etc. Chances are at the end you feel like throwing in the towel. Or you say “ah screw it, I will just go with this one.” This is decision fatigue. The list can go on and on. But, by recognizing that decision fatigue exists and acknowledging its potentially damaging impact, you can make changes to your life to increase your willpower. 1.) Plan reoccurring decisions ahead of time: Obviously you can’t plan every decision before it happens. That is just life. But many of the decisions that are draining our willpower are the ones we make over and over again. Things like what you are going to wear to work, what you are going to eat for lunch/breakfast/dinner, when you are going to hit up the gym, etc. This stuff you can plan before you go to bed at night so the next day you have willpower for the big stuff. 2.) Whatever is most important in your day, do it first: Maybe it is exercising, getting a project done, getting the laundry folded, helping your child with a project, whatever it is wake up early and get it done. You are the freshest version of yourself when you wake up. Get up, get to it and start your day off on the right foot, it may even help the rest of the day to unfold smoother. 3.) Take care of you: It is hard to have willpower if you feel drained, unhealthy, unfit, bad about yourself, etc. Put time in your day to focus on yourself and make sure you are getting the proper fuel for your day. 4.) Make commitments, instead of decisions: Rather than getting down on yourself by constantly telling yourself you “want to lose weight,” “want to change jobs,” “want to start working out,” start doing it. You will have fewer decisions to make if you just rip the bandaid off and commit. 5.) Fuel first: If a decision is coming at the end of the day, or maybe a big meeting at work, then take a break, refresh and eat something first. You will be more on top of your game if you can boost some of that brain fuel. 6.) Keep it simple: Get rid of the things in your life that you don’t need. Don’t waste your energy on things that don’t contribute to your wellbeing, that don’t provide joy. You don’t need to keep doing unnecessary tasks that are draining your energy. 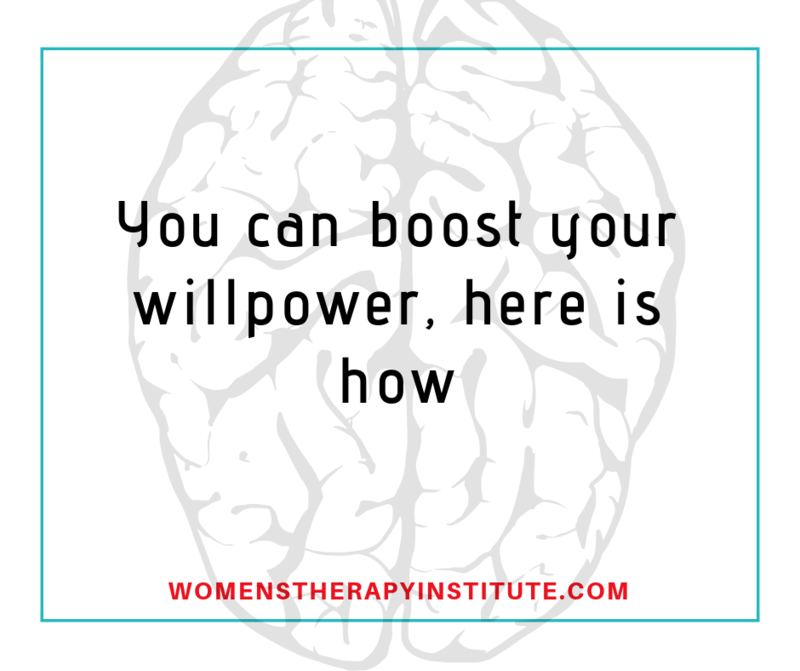 Your willpower is not always going to be at a steady level. That is impossible. But the first step to making changes is recognizing where the problems are and working to rectify them. It’s ok to put off a decision for a day rather than being impulsive. You can decide to get some rest first, just don’t avoid it completely.